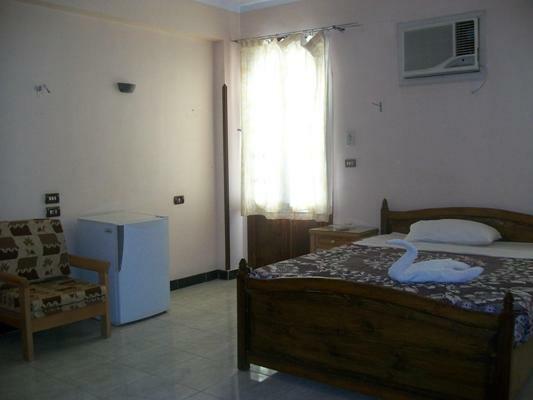 The clean and welcoming rooms have a balcony and of course equipped with shower and toilet. A fan and air conditioning make for comfortable room temperatures. Hot and Cold water 24h. 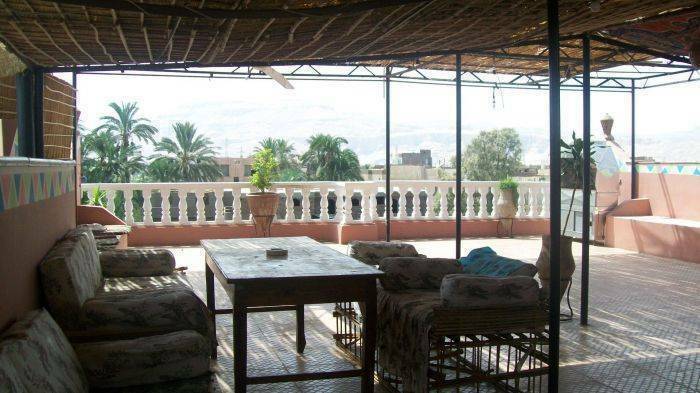 From the terrace you have a wonderful view over the mountains of Luxor and the Temple of Hatshepsut. You can enjoy an intimate sunset.
. Linen and towels included. We offer pickup for free from airport, bus or train station o public ferry. We serve fresh Egyptian food. You can choose between international or egyptian breakfast (included in the price). We offer fresh juice, beer, hot or cold drinks , to smoke shisha and cheap menu. Also we can make special menu for you, ask our cheff. You will have full information about the city and the area places. You will have free serves to get Egyptyour Train & Bus ticket from Luxor to anywhere in Egyt. 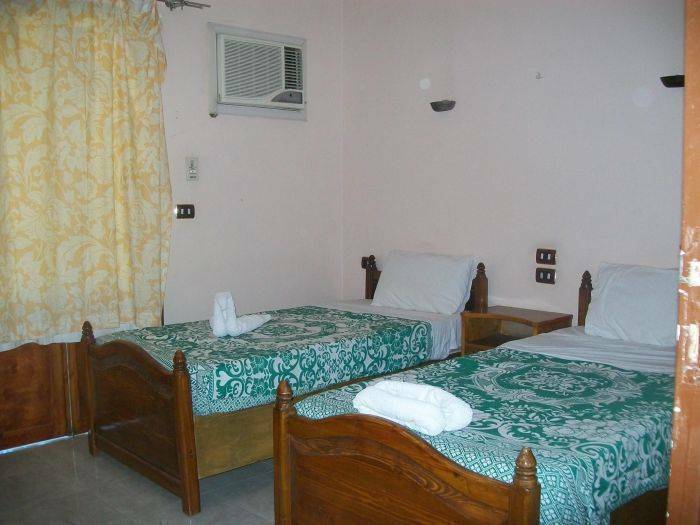 We arrange special rooms for 2 adults and 2 childs. Ask us!!! We refund money for all reservations cancelled 24h before arrival date. 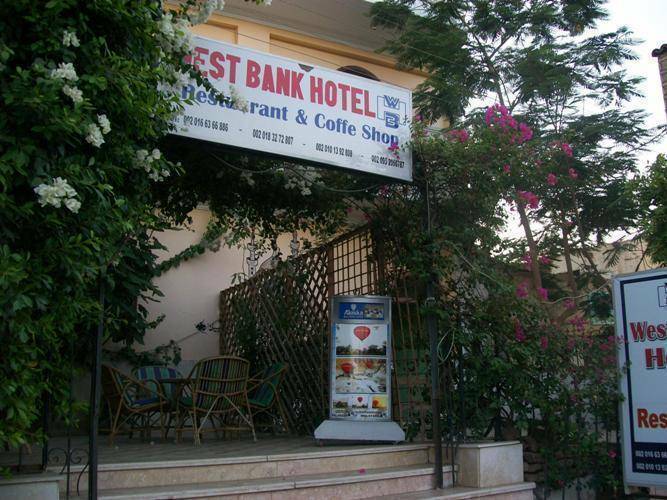 We are 15min by walk from public ferry in the west bank , close the police check point where most of the public transport passes. Luxor have a international airport, train to Cairo-Alexandria-Assuan-Abu Simbel, bus station to Hurghada, Cairo, Assuan etc.. 20 min by car. If you want rent a car or bycicle or horse etc... Ask us. 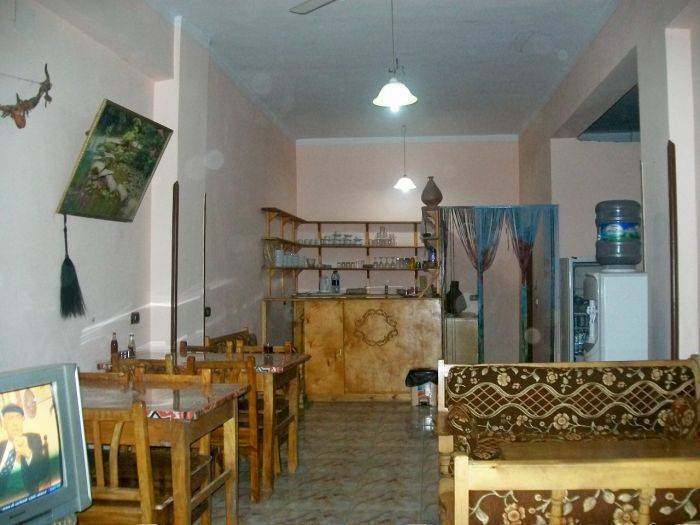 Nearest airport: We are 20 min airport by car.